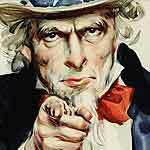 Don’t fear the reaper! With a new Prey coming soon, we’re checking out the iconic 2006 incarnation of Prey. Does the original still hold up ten-and-a-half years later? 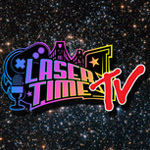 Find out LIVE with Laser Time, 3PM PST on Twitch! We’ve been gaga about Prey here for awhile as of late. Back in mid-2006 we celebrated the original Prey’s tenth birthday on Thirty Twenty Ten, and our recent access to Prey 2017’s first hour has whet our appetite even further. What better way to bridge the past and present than by streaming the 2006 version of Prey LIVE on Twitch! In case you missed it, Laser Time recently had the chance to play an hour of the May-due Prey reboot. You can read our hands-on impressions of the Prey 2017 reboot, or watch video of our favorite moments in the video below! Fire Pro Wrestling Returns - Watch Us Play!